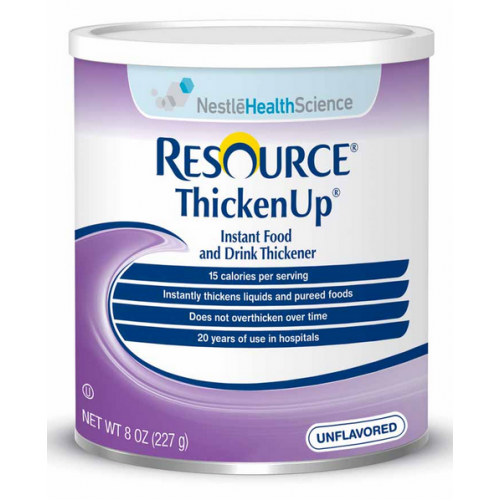 Resource ThickenUp is and instant food thickener for use with hot or cold beverages. 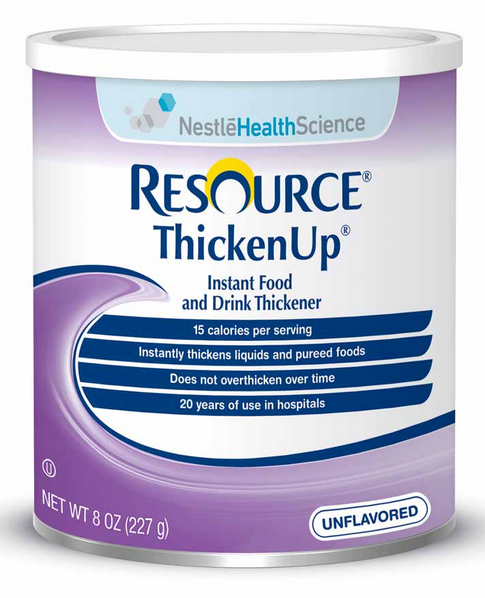 Formulated for individuals over 3 years old, ThickenUp does not over-thicken with time. ThickenUp is clinically proven to reduce the risk of aspiration in patients with oropharyneal dysphagia. Instant thickener for hot or cold foods and beverages. Does not overthicken over time. Clinically shown to reduce the risk of aspiration in patients with oropharyneal dysphagia. Resource Thicken Up Product Number: 225100. Made on equipment that also processes soy, milk, egg, and wheat. I PURCHASE ALL MY HOME HEALTH CARE NEEDS AT VITALITY MEDICAL.. I HAVE SHOPPED AROUND, AND FOUND THE BEST PRICES AND QUICKEST DELIVERY FROM THIS SITE. Received product promptly and it works great to thicken up what I need too.